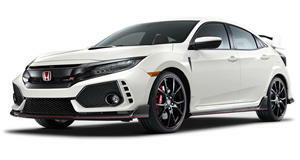 Earlier this week, Honda announced the closure of its Swindon, England production facility that builds the current Civic hatchback and Civic Type R hot hatch. The official reason supposedly has nothing to do with Brexit but is rather a strategic decision to consolidate production in Japan. Turns out it could be North America that’ll be building the next generation Civic hatches when the time comes. Honda released a statement to Autoblog revealing not only are the Civic hatch and Type R safe in the future but that due consideration is being given to shift production to our neck of the woods, instead of Japan. One reason why is the hatch’s popularity in this market. Nearly 20 percent of North America Civic sales are hatchbacks, a figure that beats the automaker’s initial expectations. Wouldn’t it make sense to build a vehicle closer to where it’s being sold the most? As for the Type R, its 2.0-liter turbocharged VTEC with 306 hp and 295 lb-ft of torque is already built right here in America, specifically in Ohio. Convenient, to say the least. Honda still has some time to make a final decision because the Swindon factory isn’t due to close until 2021. Furthermore, Honda also offered a clue as to when the next generation Civic lineup will debut. The automaker also noted that North American production won’t get underway until that next-gen Civic is launched, meaning a 2020 or 2021 reveal date sounds likely. It’s still too early to know where in North America Honda could build these hatches, but it has had a major presence in Marysville, Ohio four nearly four decades. Could an expansion of that facility happen? 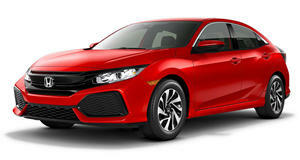 Perhaps, but a more likely candidate would be either Alliston, Ontario Canada, which is where the current Civic coupe, Si coupe, and sedan are manufactured.